Fabinho’s emergence as a key player for Liverpool is down to the Brazilian feeling ‘more natural’ in his role, Jürgen Klopp has explained. The No.3 has started and completed the full 90 minutes in each of the Reds’ last five matches, with Klopp now often deploying him as his side’s sole deepest-lying midfielder. Earlier in the season, the manager often paired Fabinho with a teammate in the ‘No.6’ slot, but the 25-year-old’s development means this is no longer seen as necessary. “He’s just feeling more natural in his position. He’s a very nice boy and a very smart boy as well. He wants to do everything right,” Klopp said. “But he did not need that as much as he maybe thought. Sometimes you leave the boys a little bit to adapt naturally to it and not give them so much information. Some things happen then. “There were these moments when we’d say ‘OK, help him, go back to playing two in the centre’ because he was used to that. 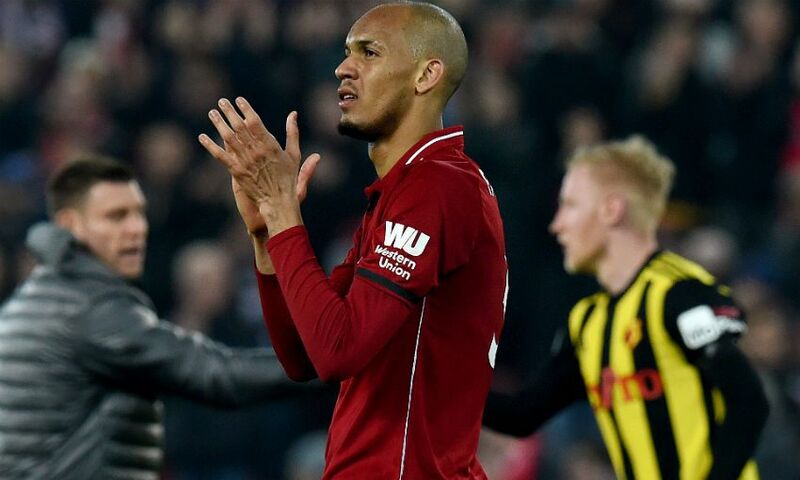 The boss believes Fabinho’s display in the 5-0 rout of Watford at Anfield on Wednesday was one of his best for Liverpool to date. “Fabinho was really good for sure,” Klopp continued. “It was one of his much better games. He had some spectacular moments - getting the ball, a little steal here or there, really good.